We love to reward you for your loyalty. Dedicated and experienced specialists in Sales, Lettings, Surveys, Valuations, Auctions, Land & New Homes. Established in 1991 with a view to provide trust, expertise, results and the highest level of customer service. Members of Relocation Agent Network. Gold for lettings & silver for sales means that the Dawsons Property teams are in the TOP 1% of best estate agents & letting agents in England & Wales. Use the best in the Country, pick Dawsons today for all your sales & rental needs. Find property for sale. On-line search for properties on sale from the Wales' leading independent estate agent. Make the right move with Dawsons estate agents on-line property search. Dawsons Lettings are one of Swansea and South Wales most experienced Letting Agents, with over 25 years experience in the lettings market. With dedicated letting branches we deliver an outstanding and dedicated letting service. Following the success of Swansea's only dedicated Land and New Homes Office which opened in the Summer of 2006, this department has now relocated to new, larger offices based in Swansea’s prestigious Meridian Quay development. 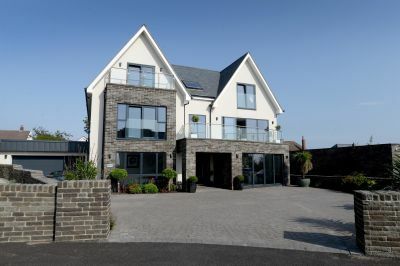 We offer luxury properties for sale and to rent within Swansea and South Wales. Our very specialist regional knowledge of this specific market ensures that you receive the very best service, whether you are buying or selling a property. Our commercial department was established since the company formed in 1991. The department has been involved with all aspects of Sales and Lettings, as well as Property Management and associated Professional Services. Dawsons Auction department has been successful since the company formed in 1991. Dawsons hold regular auctions offering a complete spectrum of Property, Land, Commercial, Investment, Agricultural and Industrial. Make an on-line search for 1000's of for sale properties with Wales' leading independent estate agent.